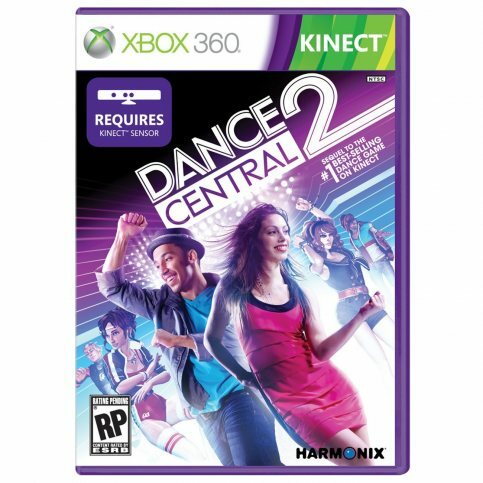 The sequel to the very popular Xbox Kinect game by Harmonix (creators of Guitar Hero and Rock Band) has done it again.Â Dance Central was and still is one of the best known games for the Xbox Kinect.Â The Kinect is very accurate in sensing movement. If you have played the Kinect Adventures, (it comes with the Kinect) you probably tested the sensors accuracy. Dance Central is a step up from the previously most popular dance game Just Dance 2 for the Nintendo Wii because the Kinect senses your movements â€“ all of them. With the Wii the moves don’t really matter; only that you move the right hand (that holds the controller) accurately.Â Dance Central made a splash over the holidays.Â I am sure you have seen those catchy commercials where dancers and party-goers are dancing choreography without a control. 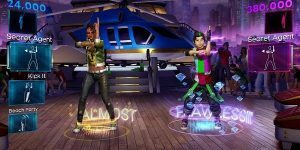 Dance Central gained much popularity after its release because it was the first game where you and only you are the control. It quickly became Kinectâ€™s best selling game. There are no mats or wand-type controllers. With an attractive and wide-ranging list of hits songs the game rapidly became a favorite for parties and get-togethers.Â While Dance Central was a great game, Dance Central 2 has a variety of improvements and features.Â The game became even more enjoyable. The graphics are a lot nicer and smoother. The scenes are very bright and lively. The menu is easy to maneuver and itâ€™s very user-friendly. The gameplay is pretty easy to follow and get used to as well.Â I usually learn songs by jumping straight into â€œPerform Itâ€ mode and learning the moves as I dance. Like other players, I was happy to see that the song starts quickly instead of the character dancing around and trash-talking in the beginning. There are three different levels for each song: Easy, Medium and Hard. Â Each difficulty level offers a different routine. Â You can create playlists of your favorite songs or choose one of the pre-made playlists. But if the player does not want to jump into the dancing right away he/she has the option to â€œBreak It Downâ€. In â€œBreak It Downâ€ the player can practice the entire routine or one move that he/she is having trouble with.Â The player also has the option to record a video clip of him/her dancing a move. These options were not available in the first Dance Central. â€œFitness Modeâ€ has premade fitness playlists that give you a moderate to intense cardio workout. Â The calories are tracked to give you an estimate of the intensity of your workout. 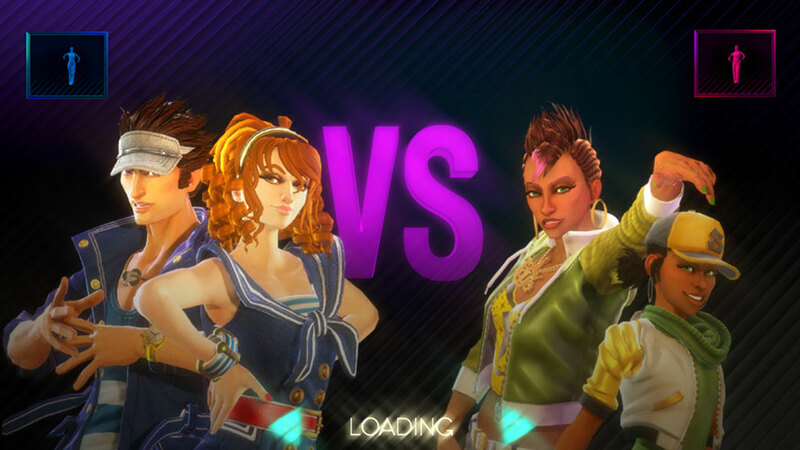 â€œDance Crew Challengeâ€ is where the player dances a set of songs to unlock new crews, outfits and even new characters.Â It gives the game somewhat of a storyline to follow. One of the most notable improvements is the improved multi-player function.Â Two players can dance as a team or against each other simultaneously (â€œDance Battleâ€ mode). When playing the original, waiting your turn is really not fun.Â A second player can jump in and out of a song without difficulty (â€œPerform Itâ€ mode). This helps make the game more enjoyable with groups. Â The game can now be controlled using voice-commands. The player can choose the mode, song title, pause and resume gameplay. If you previously owned Dance Central, you can import all of the songs to Dance Central 2. You need the code from the game and it will cost you 400 MSP. Any songs that you purchased from Dance Central Store automatically transfer over to Dance Central 2. Proud of your score? Want to show it off? The game takes a picture of you at the end of every song. You can upload the photo to your twitter and facebook account using Kinect Share. It will show the song title, score and difficulty. It would be great if you could play other users on Xbox Live.Â Unfortunately, that option is not available yet. If you enjoy the Just Dance Series or are looking to finally buy a dancing game, Dance Central would be the game to get.Â Some of the dances and lyrics are not very family friendly though.Â You need to decide how appropriate the choreography and lyrics are for the youngsters of the family.Â Such songs as Sir Mix-A-Lotâ€™s â€œBaby Got Backâ€ might not be suitable for children. Personally, I found it entertaining and a fun way to add a mild cardio workout. The song playlist is very familiar to me since there are a lot of 90â€™s songs. Â You don’t need too much space to enjoy it.Â I live in a New York apartment and found it easy to play the game with a friend. If you own a Kinect, Dance Central 2 is definitely a must have.